Here's the front of the vest, mostly pinned down (looks like I need to repin the left side a bit better) and ready for blocking. I just finished it while watching some Sunday night television and spent most of the afternoon working on it. 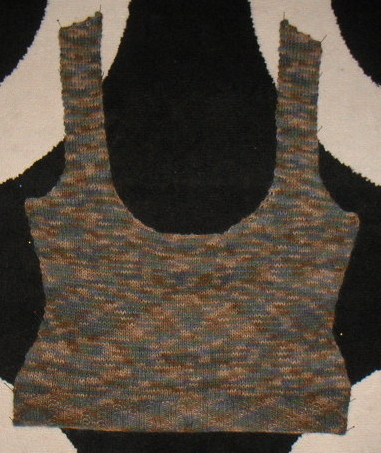 I had to rip out several rows because I neglected to remember to bind off for the neck before binding off for the armholes and I had not written that down in my instructions. I also spent the day on a quick and easy sewing project that I will document later.